There’s lots of fun to be had while exploring the forests for mushrooms, like the people in days of old used to. Although sometimes it can be hard to find certain mushroom types or maybe they don’t even grow in your region, either way mushroom growing kits can be a great way to get some of those tasty mushrooms you know and love! So we’ve compiled a list of different mushroom growing kits to make it easier to get some of those tasty shrooms! The Morel Habitat is a great starter kit, due to its ability to grow anytime of the year. This one comes with instructions, to help anyone who is not familiar with growing mushrooms. The Morel Habitat Kit guarantees pounds of morel, so you won’t have to worry about running out of your favorite mushrooms. 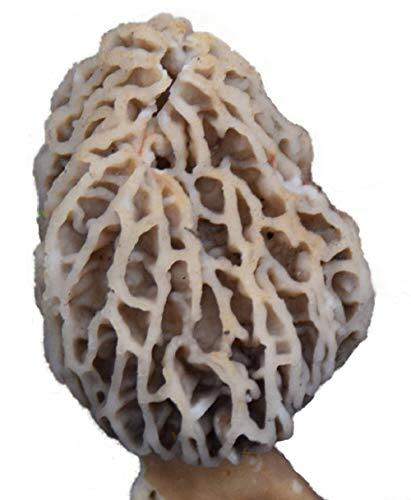 The Morel mushroom has a fun nutty or meaty flavor with a soft deliciously mushy texture. It is highly recommended you cook a Morel mushroom before consuming, as it has a low toxicity chemical that could cause stomach pain and or food poisoning. That said, the Morel mushroom is completely safe after cooking in any manner such as grilling, sauteing, or even frying. Cooking the mushroom destroys any sort of chemicals that could harm you. You can even store the seeds for up to 6 months if you don’t like the idea of growing them during the winter. The Brown Oyster Mushroom Farm kit can last for several months unopened, making it a great gift for your kids or for their school project. As a bonus, if your Brown Oyster Farm doesn’t grow, then you you’re guaranteed a full refund. 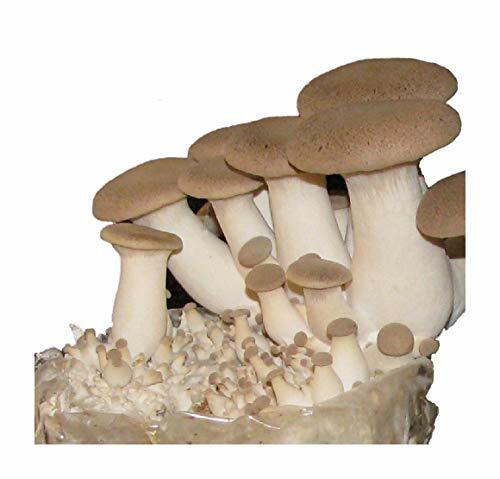 The Brown Mushroom Farm comes with everything you need to grow these beautiful delicacies. The Brown Oyster is usually used in cooking to add a more tearthy/fishy flavor, and it’s considered a delicacy in most places. It also has a squishy or slightly chewy texture about it. 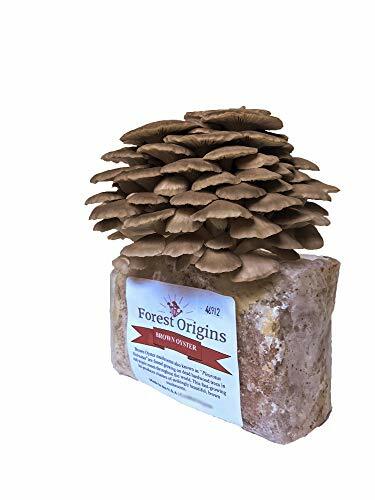 This Mushroom kit was naturally grown in the forests of America, so you can be sure you will be getting naturally grown fun tasting mushrooms! The King Oyster Kit is a great kit to use with your kids for education and consumption.The King Oyster can grow in standard room temperature so all you have to do is place it on the coffee table or your desk. The King Oyster’s stem tastes just as good as the pad does, so you’re always sure to get a full tasty mushroom. Which makes this an easy pick for beginner’s, seeing as you won’t have to worry about getting some not so tasty and or rubbery, part of the mushroom in your food. This kit also comes with a humidity tent, so if the air is a bit dry you can pull out this handy gadget and make sure your mushrooms stay nice and moist to keep the growth rate up! 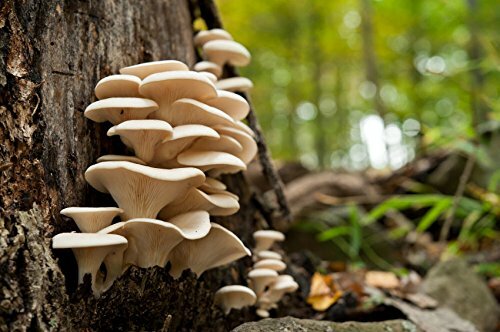 The Oyster Mushroom is yet another tasty delicacy, that tastes good in a wide variety of foods! 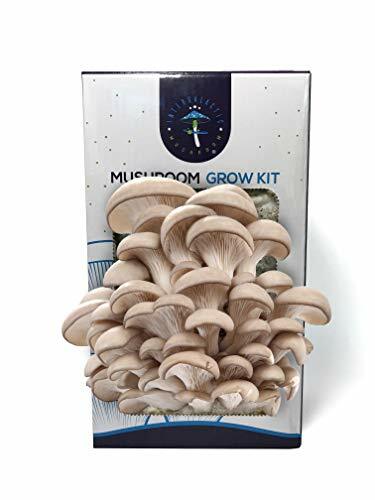 Everything you’d need to grow mushrooms comes in this kit, so all you have to do is add a bit of water and a touch of love, and viola you get a bunch of tasty mushrooms just 10 days later! 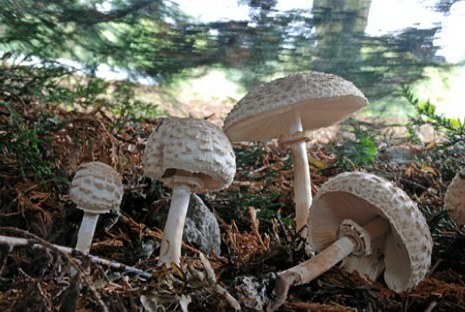 You can visually see these mushrooms multiply every day, making it an exciting experience for both parents and kids alike! The Oyster Mushroom texture makes it especially delicious when paired with chicken or different sorts of seafood and even pork. This mushroom can be eaten raw or cooked alike, so you won’t have to worry about keeping it at child level. The Oyster Mushroom is also super easy to store being able to be stored in a paper bag in the refrigerator for up to 5 days! The Pearl Oyster is a great option for beginners. It grows fast and tastes delicious! If you’re not normally super fond of mushrooms, this would be a great starter for you! The Pearl Oyster is one of the more common mushrooms and is used in a wide variety of food genres by chefs worldwide! This is the perfect kit for kids,. seeing as you only have to open the front of the box and water daily and you can expect a full patch of super delicious pink pearl mushrooms in only 10 days. The Pearl Oyster has a tender texture with a mild sweet flavor making this a perfect substitute for most dishes. There is a huge variety of mushrooms, and it can be daunting when trying to choose the right one, so we compiled a list just for you to make picking one easy, and stress free, allowing you to get straight to mushroom growing. These aren’t just any ol’ mushrooms — most of these can be used in dishes easily so you can be sure they won’t be put to waste!